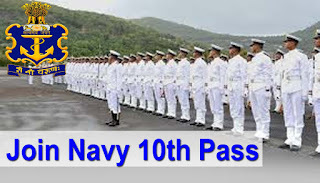 Qualification may be : pass Intermediate (10/ 12 standard) in any stream/ discipline or it’s equivalent etc. Age Criteria : 17-21 Years (born between 1 April 1997 – 31 march 2001). The selection will be on the basis of Medical Standards, Visual Standards. (d) No Cardio- vascular disease, surgical deformities like knock knee, flat feet etc. Infection of ears, no history of fits or psychiatric ailment, vericose vein, corrective surgery for eye sight etc. Eligible candidates may send/submit their application in prescribed format (attached below) to The Secretary, Indian Navy Sports Control Board, 7th Floor, Chankya Bhavan, Integrated Headquarters, M Mod (Navy), New Delhi 110021 on or before 15 Jan 2018, Along with all original certificates and mark sheets are to be produced at the time of selection trial.